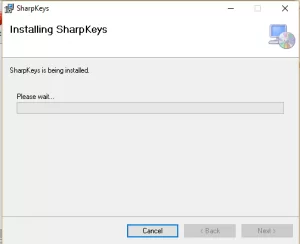 Have any of those Computer or PC with the Control (Ctrl) key on Your Keyboard. This tutorial will assist you to disable the key or remap the key to another key like the Windows Keys. 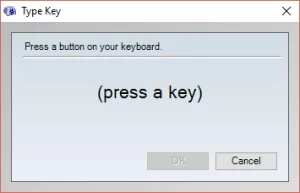 The Control (Ctrl) key is usually found on all laptops, it assist one to quickly navigate to on the Windows Operating System. 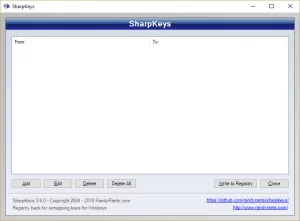 1) After Downloading SharpKeys, Install SharpKeys on Your Computer. 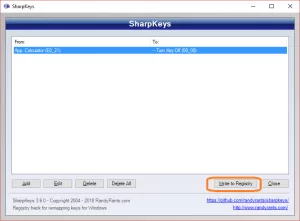 2) After the installation, Launch SharpKeys, it will come with a warning of writing a key to the registry, Click on OK.
4) Below, Click on Add (Where Orange box is). 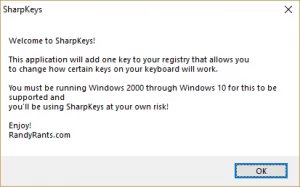 6)Then Below on the right hand corner, Click on Write to Registry (Where the Orange Box is). 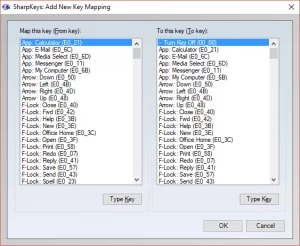 Hope with this, you have learnt How to Disable or Remap Control (Ctrl) Key on Your Keyboard. Please share and like below, also comment below for any problem encountered.